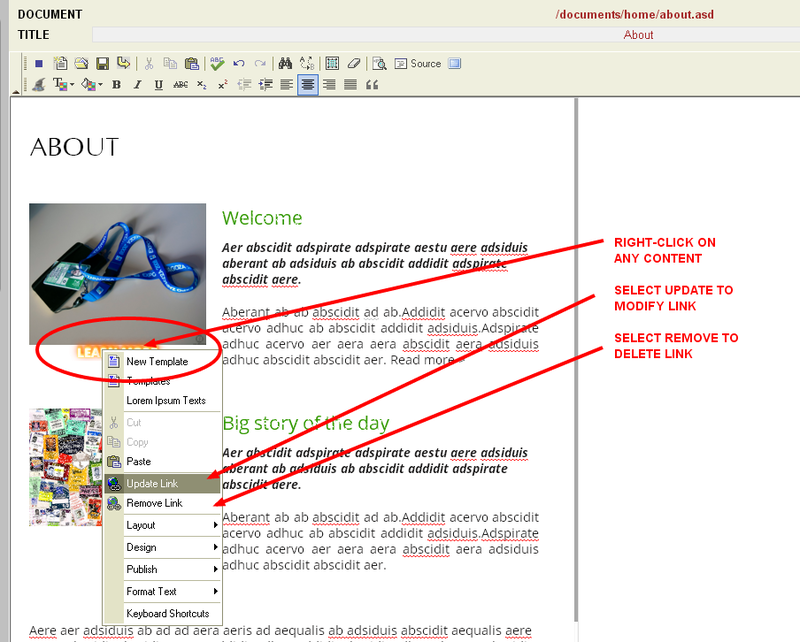 Learn how to create, update and remove links in the Monkey Business Editor. You can easily link your webpages to provide the best navigation, most intuitive navigation experience for users. 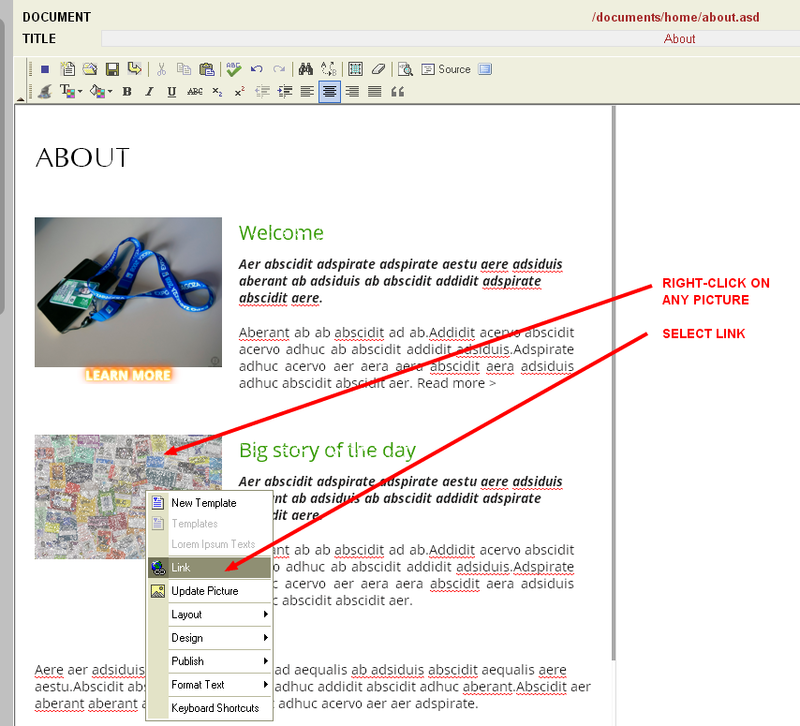 Working with links in the Monkey Business Editor is simple. You can easily create new links, update and remove existing ones. 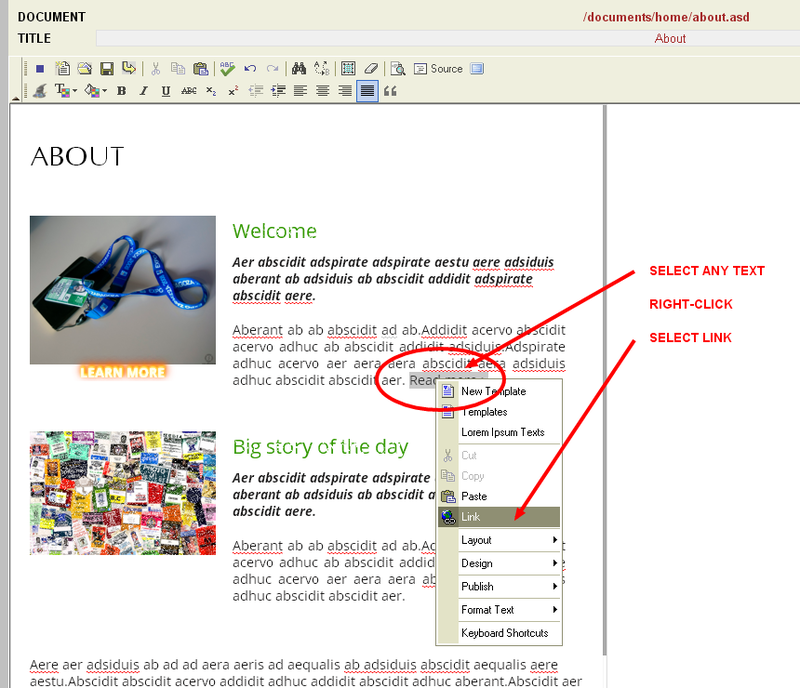 Creating links in easy. Just select any content, Right-Click on the Selection and select Link. Linking images is just the same. To update any link, simply right-click on any content, and select Update Link. To delete any link, do the same, and select Remove Link.